Thinking about throwing your old soiled carpet away? Why not contact Excellent Carpet Cleaning to professionally deep clean and rejuvenate it instead? Our expert carpet and rug cleaning company offers residential and commercial rug and carpet cleaning in Wallington South SM5, and we can deep clean any kind of carpet or rug for you at an attractive rug and carpet cleaning price. 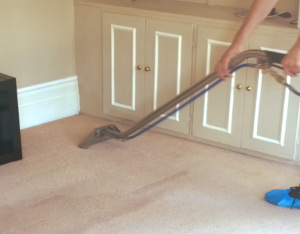 Excellent Carpet Cleaning has been providing professional carpet and rug cleaning for residential and commercial properties as well to the residents of Wallington South SM5 for over 10 years. We work only with trained, recommended and vetted cleaners, who are equipped with the latest professional cleaning technologies and with safe and yet highly efficient cleaning solutions. Our cleaners are experienced and trained to clean any kind of carpet or rug, and to remove a wide variety of different stains, such as: blood, oily stains, paint, wine, rust, coffee, tea, vomit as well as repair moth damage. The professional cleaner inspects the carpet or rug to determine its type, its overall condition, as well as to spot any soiled areas and treatable stains. A professional vacuum cleaner is used for hoovering the carpeting. Tests are performed with all solutions which will be used for an eventual bad reaction before the treatment. After that, the cleaner pre-treats all removable stains with the appropriate solutions. Our cleaners are trained and equipped to clean various oily stains, paint, blood, wine, vomit, coffee, tea, rust and others. We can even repair some types of moth damage on your carpet or rug. Depending on the type of rug or carpet you have, the cleaner will proceed to deep clean it. Shampoo carpet cleaning done with a professional hot water extraction machine is done for deep cleaning carpets and rugs which can withstand water treatment. For more sensitive materials, dry carpet cleaning is performed with the help of dry carpet cleaning foam. Following the cleaning, the technician can perform additional deodorising or can apply Scotchgard protection, if you want. Our 24/7 customer support centre is at your service and anticipating to receive your booking request day or night. Just send us an online request here or call 020 3404 0500. You will receive confirmation via e-mail and a text message in the next 2 hours. There is no deposit for booking our cleaning services. You can order same day cleaning, or order our carpet and rug cleaning service for any day of the year. We offer discounts for booking more than one services at a time, so take advantage of our offer and book a combination of carpet cleaning along with another service we provide and save time and money. Our cleaners will provide you with all services ordered on one visit. Book today!